There seems to be a growing concern for improving America's education system more than ever nowadays. New policies such as No Child Left Behind and Race to the Top have been implemented in public education schools to increase America's standardized test scores in reading, math and science. 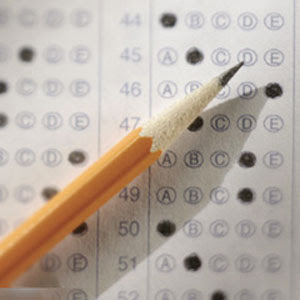 According to results of standardized testing, the United States is currently underachieving in education when compared to other developed countries around the world. Asian countries such as South Korea, Japan and China all outrank the United States in reading, math and science by a long-shot. However, many of these countries are starting to question the significance of their scores and are beginning to rethink their educational beliefs. My argument is that Korea may lead the world in standardized test scores, but the United States is leading the world in productivity. The fact that a lot of Asian countries are undergoing their own education reform to become more American, should send a message to our policy makers! If the countries with the highest rankings are trying reduce the pressure of achieving high test scores, shouldn't we be doing the same? It makes no sense for America to push and push for high test scores, when the countries with the highest test scores are beginning to realize that their educational priorities need to be reevaluated. If we can learn anything from this information, its that we shouldn't use just one assessment to measure the success of anything, let alone education. Best-practice teaching tells us that students need to be measured by multiple, different types of assessments. For example, some students might perform better on standardized tests; whereas, others might perform better on project-based assessments. What if the success of football teams was measured only by their total yardage? Would their rank justify their overall record of wins to losses? Probably not. Just because a football team has the highest rank in total yardage, does not mean that they are the best team in the league. This is analogous to standardized test scores because the countries that have the highest test scores, are not necessarily the most successful and productive countries, overall. Therefore, the United States should stop measuring the success of its education only on the scores of standardized tests. We should account for several types of assessments to fully evaluate the success of our education.